Now you can donate using PayPal! 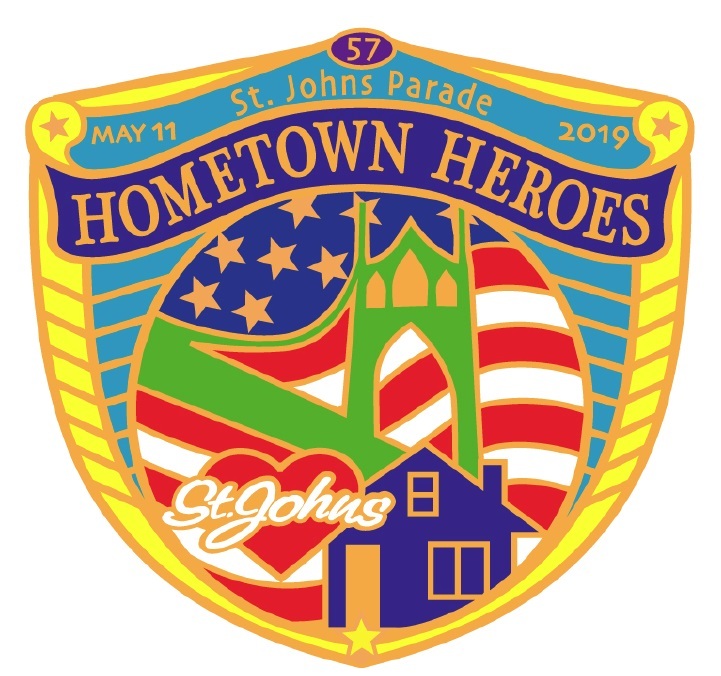 The St. Johns Parade will accept your donation anytime of the year. You can also set up a recurring donation using Credit or Debit card. A little each month adds up to a lot of parade in May! Do it today! Map of Parade Route courtesy of the St. Johns Review. The St. Johns Parade Committee thanks the St. Johns Review for its continued support of the parade. Pick up a copy the first week of May to learn what's happening parade day. Volunteers and participants may also review a Map of Parade Staging to learn where to check in. Parade Committee Meetings for 2019 are held the second Thursday of every month starting on January 10 followed by February 14, March 14, April 11, and April 25 at 6:30 at Pioneer United Methodist Church 7528 N. Charleston. We welcome members of the community to come to the meetings with comments, questions, and concerns. Enter 1 if it is just you or enter the number in your group. Please note any special requirements or any other information you would like to communicate to the coordinator.